SKOKIE, Ill.– Invisalign is good. Invisalign with Dr. Michael Stosich at iDentity Orthodontics is even better. That’s because Dr. Stosich was specially trained in Invisalign during his orthodontic residency at Temple University, which is recognized as the foremost digital orthodontic institution in the world. His time collaborating with pioneers in the industry granted him a superior understanding of Invisalign treatment and how to maximize its benefits for patients. ROUND LAKE, Ill.- Remarkable expertise combined with advanced technologies leads to outstanding orthodontic care. That’s exactly what patients experience at iDentity Orthodontics. Dr. Michael Stosich incorporates 3D image-guided orthodontics into the diagnostic process. KENILWORTH, Ill.- Plenty of former orthodontic patients are familiar with the unpleasant experience of squeezing on a retainer after neglecting to wear it for a week…maybe two. There’s a reason for the discomfort. Our teeth are on the move. Many post-orthodontic patients fall victim to “orthodontic relapse,” a phenomenon that causes teeth to slowly shift out of alignment following treatment. Frustratingly, relapse calls for another round of orthodontics to correct. Tooth movement once braces are removed may involve a number of factors, ranging from genetics to habitual teeth grinding. That’s why retention is vital to enjoying a gorgeous smile that lasts a lifetime. GRAYSLAKE, ILLINOIS- The unfortunate reality of bullying in America’s schools has drawn heavy media exposure lately. 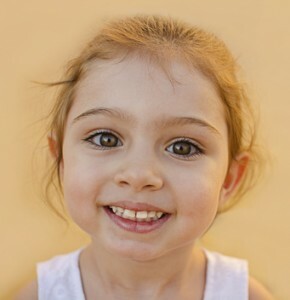 According to one recent study, kids with severely misaligned teeth are targeted most. 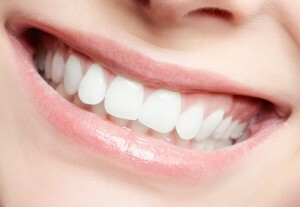 GRAYSLAKE, Ill.- Orthodontics can benefit many aspects of your smile, including periodontal health. Despite this fact, gums and orthodontic treatment seem to have a love/hate relationship. A brief period in braces or Invisalign leaves patients more susceptible to gingivitis, yet the treatment’s outcome of aligned teeth reduces the likelihood of acquiring periodontal disease in the future. KENILWORTH, ILLINOIS- Check out the latest issue of Orthodontic Practice US and you’ll see a familiar name on the cover. Dr. Michael Stosich lent his expertise in tooth movement to the magazine by writing an article for the November/December 2013 issue. GRAYSLAKE AND SKOKIE, ILLINOIS –National Orthodontic Health Month has come and gone, leaving behind an interesting survey about adults and orthodontic treatment. The American Association of Orthodontists spearheaded the survey in October in honor of the month geared toward oral health awareness. Adults were asked questions such as whether they were too old for treatment and how they would look during treatment, particularly if they were undergoing treatment with traditional metal braces instead of a more aesthetic option such as Invisalign. GRAYSLAKE AND SKOKIE, ILLINOIS – Children who need orthodontic treatment require it for a variety of reasons. 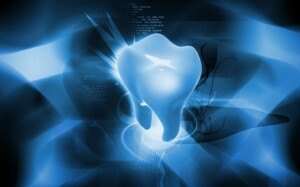 It can correct facial imbalances, make room for crowded teeth and widen palates, when necessary. 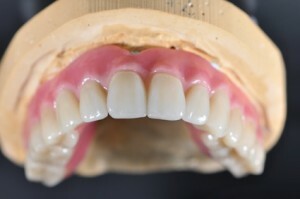 GRAYSLAKE, ILLINOIS – The power of 3D technology is becoming more widely used in orthodontic circles for fabricating appliances such as aligners and retainers. But Grayslake and Skokie orthodontist Dr. Michael Stosich sees a day on the horizon when 3D printers will do far more for serious craniofacial orthodontic cases and patients stricken with cancers in the oral cavity. GRAYSLAKE AND KENILWORTH, ILLINOIS – Our desire here at iDentity Orthodontics is for every child to have a healthy, beautiful smile composed of beautifully aligned teeth and a proper bite that promotes lifetime oral health. If your child has significant overjet that goes uncorrected, a 2013 study shows – again – the likelihood of this being the case is slim without interceptive orthodontic treatment. Overjet is the term used to describe the condition where the front teeth in the upper jaw advance well in front of the lower jaw’s front teeth, says Dr. Michael Stosich, a Grayslake and Kenilworth orthodontist. You probably have heard people use the term “buck teeth,” which is a common way of referring to overjet.